Wickham Festival wins “Best Festival” category in The Portsmouth News Guide Awards, Hampshire! What an incredible night we had at The Portsmouth News Culture Guide Awards winning the “Best Festival” category supported by the ever popular Victorious Festival. The Culture Guide Awards is the night that The Portsmouth News honour the best in local entertainment, from bands to artists and actors to films. This is the second time we’ve won a Best Festival award, having previously won Best Festival (Capacity under 15,000) in the 2015 Live UK Music Business Awards. Tonight’s accolade means an awful lot to us as it’s a public vote in our local area, organized by our local newspaper. Of course we’d like to thank everyone that voted for us! 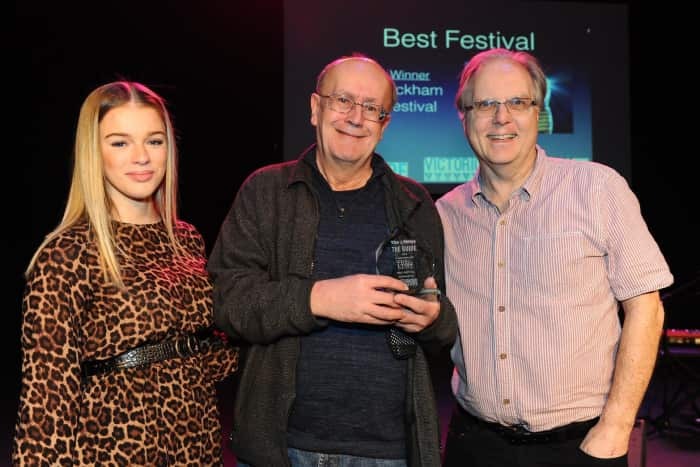 News reporter Millie Salkeld presents Peter Chegwyn and Graham Hiley of Wickham Festival with the trophy for Best Festival. Photo © Sarah Standing. As many of you know we always support and promote our nearby Hampshire area, be it by having many local bands both signed and unsigned performing throughout the weekend, or supporting local businesses in and around the Wickham area. 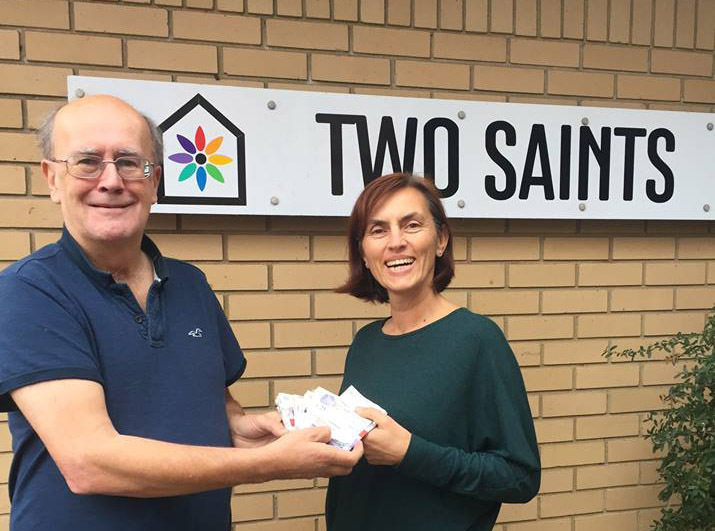 In 2018 we once again donated £5,000 from our Festival to the incredible Two Saints charity based in Fareham, Hampshire who do great work helping homeless and vulnerable young people in our area. Festival organiser Peter Chegwyn handing over the cash to Hazel Newton from Two Saints. To receive an award voted by our local community has been a real boost for our team morale! Our line up for 2019 is already strong but in the next two weeks we’ll be making more announcements so watch this space.